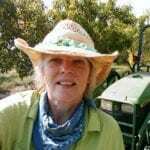 Deborah has been the publisher of Synergetic Press since 1984, publishing over 40 books on the environment, ethnobotany, psychedelics, consciousness, cultural anthropology, vanguard fiction and poetry. During the eighties, she also started working with the team of people at Space Biosphere Ventures in Arizona where they were designing and building Biosphere 2, world’s largest laboratory for global ecology. Her first book she was Editor-in-Chief of The Biosphere Catalogue, an environmental science publication taking an interdisciplinary approach to the study of the Earth’s biosphere with contributions from some of the world leading figures in biological and technological fields. She helped to develop the educational programs at the Visitors Center and classroom curriculum. In 1990 she founded and directed the Biosphere Press, publishing division for Space Biospheres Ventures, and produced over a dozen books, educational video and curriculum titles about the project the lessons being learned. The two-year experiment, Mission One (1991-1993) with a crew of eight people still holds the world’s record for human life-support in a closed system. The experiment gave us great insight into the dynamic of biospheric systems and was a pioneer in the field of environmental engineering. Deborah is a Director of the Institute of Ecotechnics (www.ecotechnics.edu), a non-profit ecological think-tank, helping to manage a number of the international conferences it has hosted over the years on global trends and in the field of closed ecological systems. She is also Exec. VP of Global Ecotechnics Corporation (www.globalecotechnics.com), an international project development and management company, with special focus on the pastoral regeneration project based on a small station in NW Australia, and is a Trustee of London based October Gallery, showcasing transvangard artists from around the world.